first time using the patriot was pretty painless. Great, durable machine. A friend bought a do-all with the wobbler attachment and with the two side by side you really notice the difference. It was his second clutch on his and was acting up again after 2 boxes. Constantly having to reset his. you can see the quality in the patriot compared to others. Very happy. This machine has been excellent so far. Have only had it a couple months so far but have pushed 3,000-4,000 clays through it. Its made extremely well and has excellent customer support behind it. Any questions ive had they have been more than helpful with. Would not hesitate for a second to buy this or any of their other products.As far as throwing machines go I will be an Atlas customer for life. We are using Atlas equipment to set up ever changing stations around they family’s property. We love the versatility of our two AT-300’s. The latest addition was a Hare/Rabbit. Tons of fun and the machine is quite easy to set up when we change locations. Our four oscillating Patriots have been mounted to a small trailer and we use it as a flurry/flush with a BRB Sustems wireless setup. 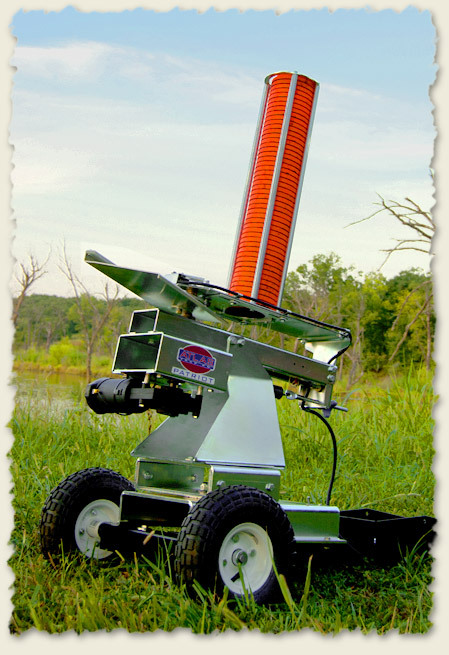 Also thanks to Able’s Ammo (our regional Atlas distributor) for the great support and advice. Atlas and Able’s are good people. My Patriot showed up as promised. Packaging was good and directions for assemble were relatively easy to follow. Total assembly time, including reading the directions making sure to not damage anything or myself, took about 30 minutes. I mounted the unit on a small trailer I built. I was a bit surprised by the recommended battery size, but happened to have one handy. I haven't cranked it up to full strength yet, probably only about 80% so far and it has worked flawlessly. Very consistent on speed and distance. So far, there has been two of us, so only the push button was used. Still have to test the foot release. Uncocking is very easy, but make sure you follow the instructions. Feeding was very good with no broken birds on the first outing. The price seemed a bit high to me and I studied this unit for over a year before I bought it. There are others out there at the big stores that cost less, but it doesn't take long to see the difference between them. I think the cost on this one will pay off in the long run for sure and it will most likely out last me, but I plan on having fun trying to wear it out. You're going to hate the Patriot, not because it doesn't work well, but because it's awesome! It works so well you'll burn through shells like tomorrow and will be reloading every night just to keep up with its speed and you'll never get any sleep! I'm a Mechanical Engineer with 35 years design experience. This is one tough bugger! If you want to go to the range and not worry if your machine is going to work, this s is the one. 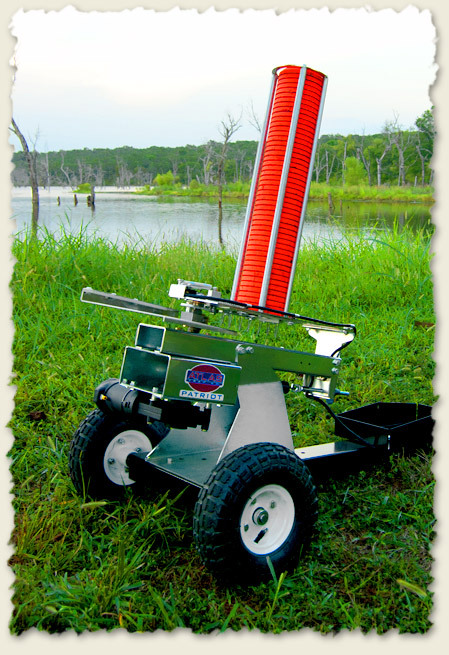 I received this thrower as a gift a month ago and have ran around 150 clays through it so far. It has operated perfectly so far. We purchased a Patriot Trap thrower without ever actually being able to see one. Something I would not normally do but after reading reviews and talking to Mike at Atlas we went ahead and ordered one. It may have been one of the best decisions ever!! We sent about 500 birds through it the first day, it is outstanding. Considerably better construction than any of the throwers you find in the big chain stores!! Highly recommend it! Worth every penny. First given, we all need to practice and more often. Second, we need a great reliable thrower to be ready when we are whether it is 60 or 20 degrees outside. The Patriot comes through in all occasions. EZ to operate and maintain, it also doubles for our Law Enforcement shotgun courses, POST approved, here at the QUWF range. This is an investment in your accuracy, the more you use it the more you have. A++ Grade for the Patriot! The Atlas Patriot is a great trap machine. Mine worked perfectly right out of the box, and it is built like a tank. 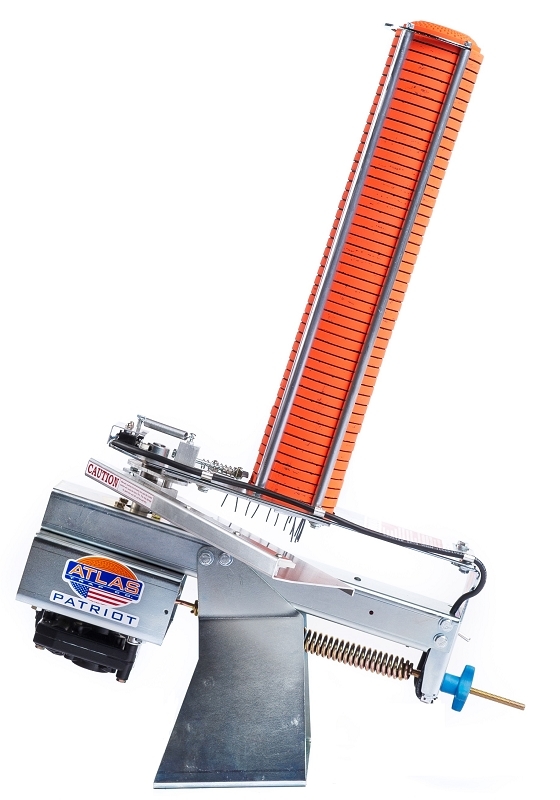 The ATA oscillating base is a great addition for adding more variety and challenge to your shooting. And the voice-actuated system (from BRB through Atlas) is a nice upgrade from the foot pedal or push button when you want to do some solo shooting. Great customer service from Atlas over the phone if you have any questions, too. No more dumb hand traps or hand-cocked throwers for this old shotgunner!